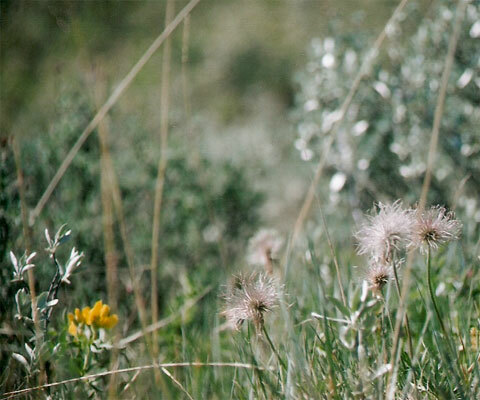 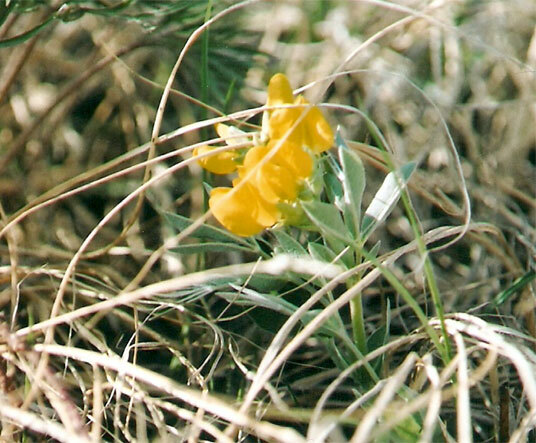 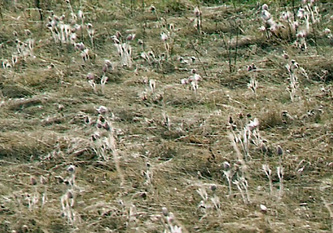 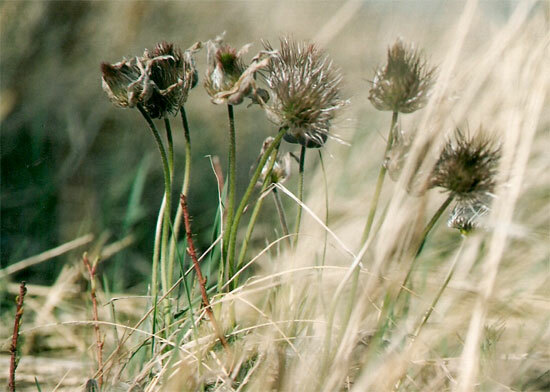 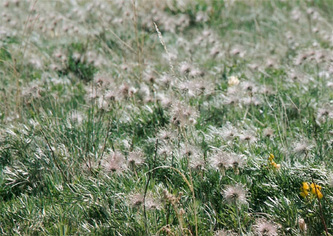 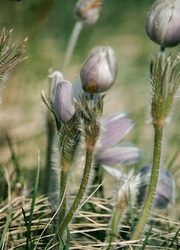 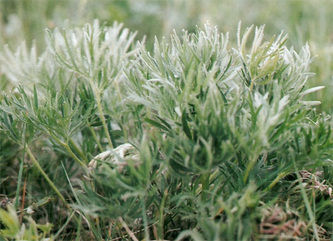 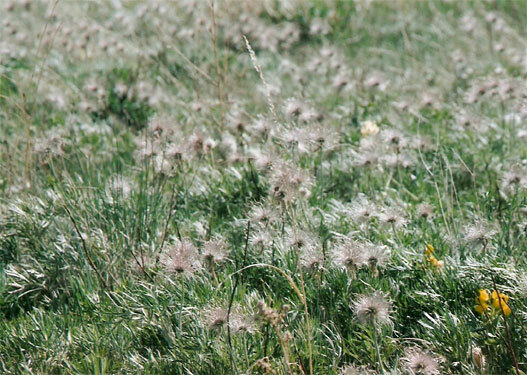 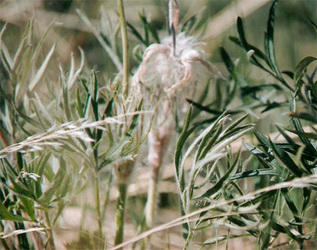 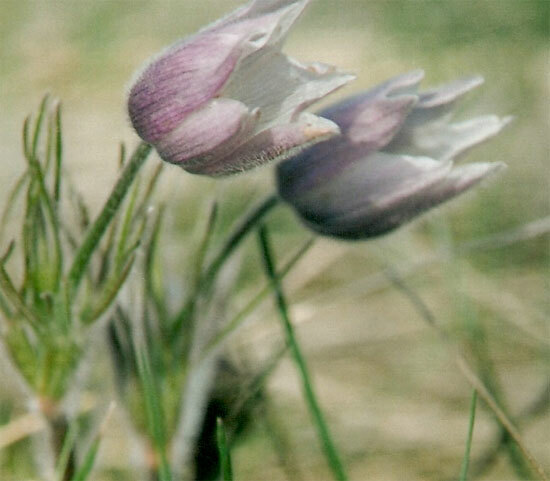 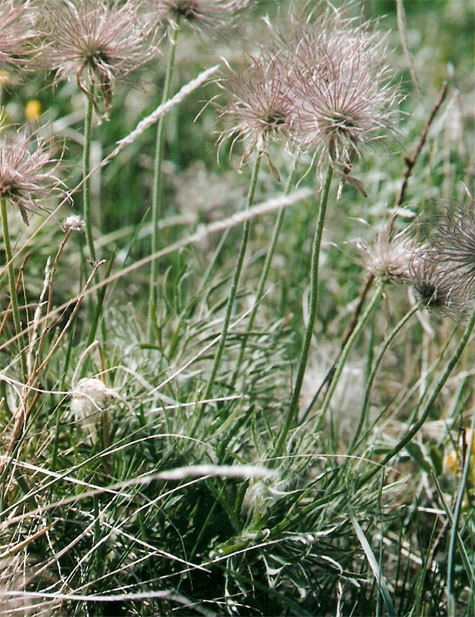 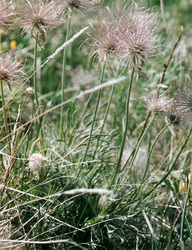 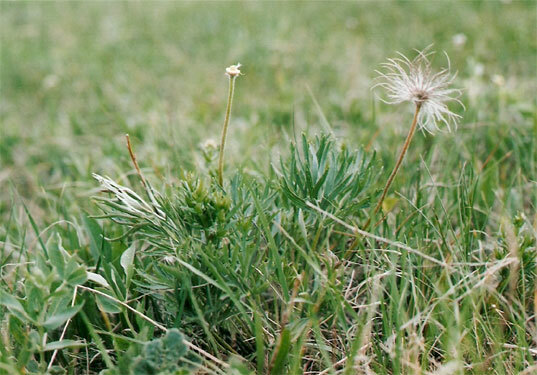 the later cycle of kippiaapi (prairie crocus, wind flower, meadow anemone, pasque flower). 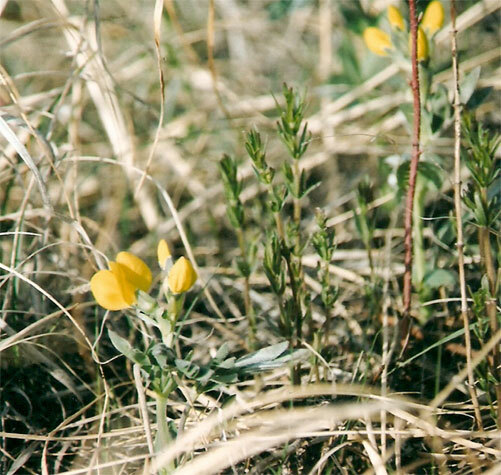 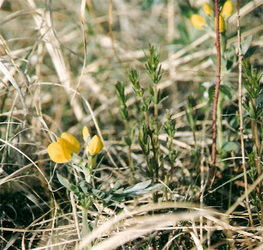 a beautiful, hairy-headed, antler-leaved mature buttercups with up-and-coming buffalo beans (Richards buffalo bean, prairie bean, golden banner, golden bean, prairie pea, Thermopsis rhombifolia). see also crocus seeds and first blooms.